Despite my aspirations of being a filmmaker, I made in my twenties what most people would consider a bad career choice: I left New York City. My reasons for leaving were both personal and professional. My marriage had ended, my mother had died, and I needed to live some place where I could pay my own bills. New York was not that place. I also needed to be closer to the small town where I grew up in the eastern part of North Carolina, to put the finishing touches on my first film. Its subject was tobacco farmers and the difficult moral and economic divide the industry’s decline had created in rural areas like my hometown. In 2002, I landed in Durham, a few hours shy of Pink Hill, where I grew up. The Full Frame Documentary Film Festival and Duke University’s Center for Documentary Studies, amongst the few film institutions in the South (and the only ones in North Carolina at the time), were based there, and that made “The Bull City” attractive to me. Since establishing roots here, I’ve learned some valuable lessons about how to operate outside the country’s main filmmaking hubs. Tell stories wherever you find yourself. Going home to North Carolina made it easier for me to find stories to tell. Because of my personal relationship to the land and the people of eastern North Carolina, I was better equipped to finish my first film, Tobacco Money Feeds My Family. I spoke their language and sympathized with their economic and emotional struggles. I cherished having such an intimate connection with my film’s subjects. It led me to other projects with which I had a deep connection — the PBS show A Chef’s Life, and the NASCAR series Road to Race Day, which aired on Complex Network’s go90.com. Being a filmmaker where you have roots gives you access to stories that are local with a capital “L” — stories with wide appeal that you have the connections and the passion to tackle. You can access the beauty and the meaningfulness in stories that an outsider may not necessarily see. A prodigal child’s return to the place you were raised is also a plus when telling homegrown stories. 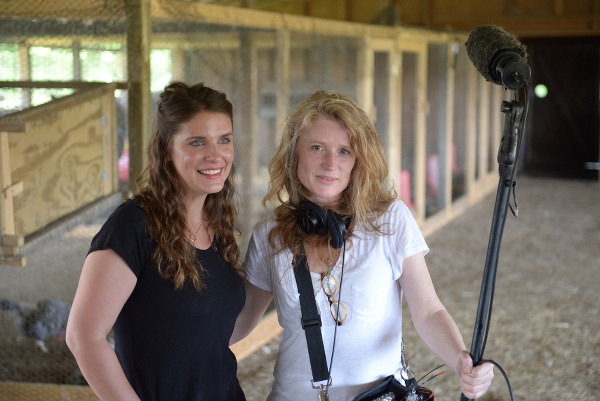 Both Vivian Howard – the host and co-creator of A Chef’s Life – and I left North Carolina and then came back. It has helped us to see things that are familiar with a different, nuanced lens and, most importantly, to have a deeper appreciation for sharing narratives that are native to us. Choose the right day job. I followed a strange path to filmmaking. I went to pharmacy school first. I was able to support myself as a pharmacist when I returned to North Carolina, which was both positive and negative. It gave me a lot of financial security, which allowed me to explore and experiment as a filmmaker. But I spent a lot of time as a pharmacist when maybe I should have been working more as a filmmaker. I also have two children, and have bought and renovated properties, including the building where my company, Markay Media, is housed. In some ways, I built a life that allows me the financial security to make the films I want to make. The reality is, you may not be able to pay your bills from filmmaking at first. This is true whether you’re based in a major city or an isolated rural town. One thing I did learn: it helped having a day job that was not related to filmmaking. Those few times I did video jobs on the side, it took energy away from my own projects. When I’m wearing my pharmacist hat, it doesn’t tax the same part of my brain, so I still have the energy and the desire to work on my films. The bottom line is, sometimes you have to do what you have to do in order to do what you want to do. Work hard to make connections elsewhere. That is one of the downsides of living outside of N.Y.C. and L.A. You have to work harder to make professional connections. You have to go to events, seminars and film festivals to meet people who can help you professionally. When you go to those cities, you have to network. I’m still not that graceful when it comes to inserting myself into cocktail party conversations. But having several successful films and TV shows under my belt has given me the courage to ask for meetings with film execs in advance of visiting major cities. That brings me to the other part of the equation: Once you schedule the meeting, you must have something to show these people, so do your work. If you are serious about being a filmmaker, you can make films on your own. It’s not expensive to get a little camera and some basic audio gear. If that’s what you want to do, you need to do it. Simply put, the more you make films, the better you are going to be — and the more work you have to show. Take advantage of the connections you have at home. Sometimes, especially in smaller towns, it’s hard to see the connections that are right in front of you. If you don’t see the relationships you already have as an advantage, look closer. Case in point: the opening music for A Chef’s Life is part of a song by the Avett Brothers, who are from North Carolina. I had spent months looking for a song that might work. When I heard the lyrics, “Why can’t you see yourself as beautiful as I see you,” I had an “aha” moment. It said exactly what we were trying to do — show the beauty in something that most folks didn’t even see. I happened to know someone at the band’s label. He sent them a note and within 24 hours we got a note back saying, “We think that will work.” We negotiated a nominal fee for the rights to use the song. We ended up building a really cool relationship with the band and they’ve appeared in a few episodes of the show. Thinking about who you know and reaching out to them can result in rewards you didn’t imagine. You may think something isn’t going to work out, and the truth is, it may not. But it’s certainly not going to happen if you don’t ask. Then you start realizing there are all kinds of resources in your community. Moral of the story: Don’t see the lack of resources where you are, see the opportunities in the resources around you. Build up the community where you live. When I moved back to North Carolina and Durham, it felt like there was some foundation for a filmmaking community, but I discovered that there was only really a community if you were in school at Duke or had a documentary to screen at Full Frame. Fortunately, only some very basic things were missing. Amongst them was a fiscal sponsor who could give filmmakers the ability to raise money from nonprofit organizations. A few other filmmakers and I decided it was worth our time and energy to create something that could serve us and the greater documentary filmmaking community we were trying to develop. That was the genesis of the Southern Documentary Fund. We used other film organizations, such as Women Make Movies, as models to learn how to create a nonprofit. We were green, but we were also stubborn. For the first five years, I was pretty much the operations person. I kept the books, wrote the checks, and all that kind of stuff, until we could afford to hire an executive director. 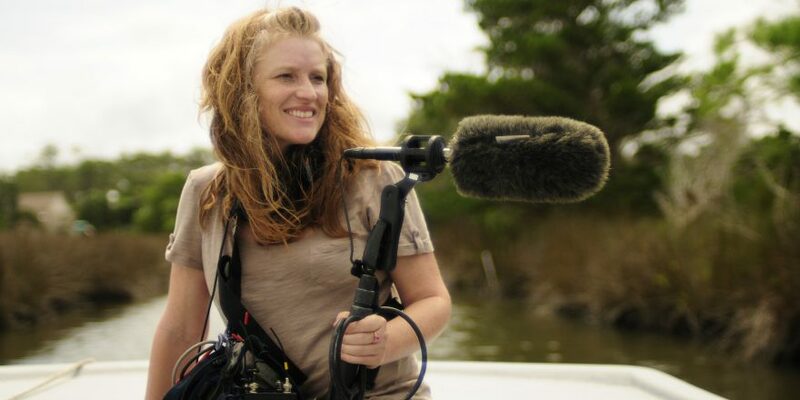 In 2017, the Southern Documentary Fund was awarded a $900,000 multi-year grant from the MacArthur Foundation, funding that will help sustain the organization for a long time. It’s amazing to see something you had a vision for turn into something greater than you thought it could be. It also really validates this whole notion that, if you’re able to find people willing to invest their resources and talents in building a creative community where you are, you do not have to be in New York or Los Angeles to be successful. Get out there and make your film. Today.